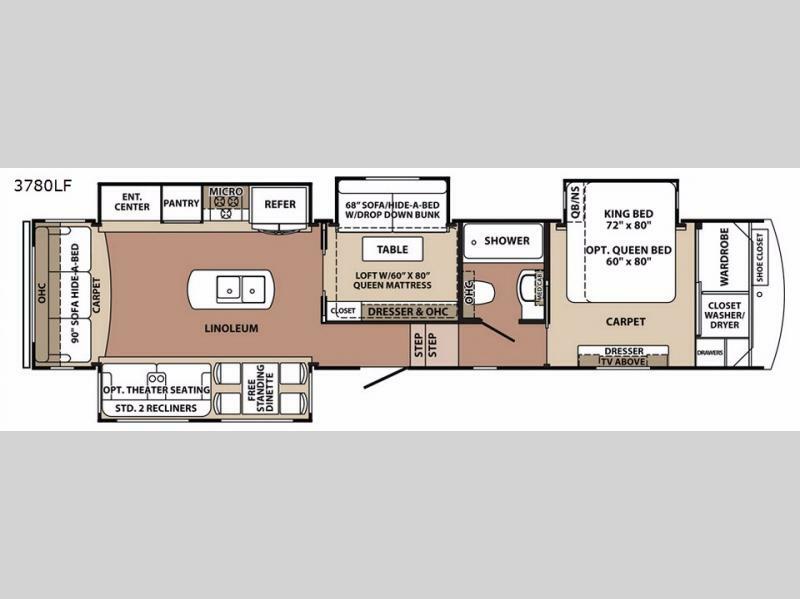 This Blue Ridge 3780LF fifth wheel by Forest River has it all and then some! 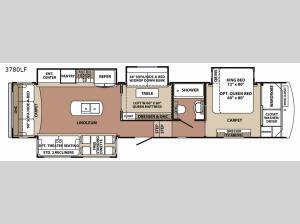 It features two bedrooms with one of them having a loft with a queen mattress and a hide-a-bed sofa with drop down bunk. The kitchen island allows you to move freely around it as well as have extra counter space and storage space for your cooking needs. The entertainment center offers plenty of seating between the hide-a-bed sofa and two recliners, there is even a free standing table for you to enjoy your meals at. 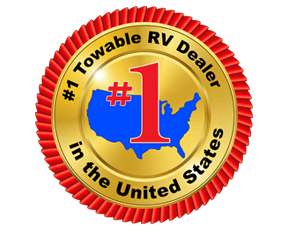 Keep the good times rolling underneath the 18' electric awning with LED lights to highlight your night.